When it comes to quality lighting, it’s hard to beat the sun. The only downside is that it goes down each night, requiring electric lights after dark. The Solatube Smart LED System solves this problem using SunSense Technology, which blends LED lighting with sunlight to seamlessly illuminate interiors day and night. 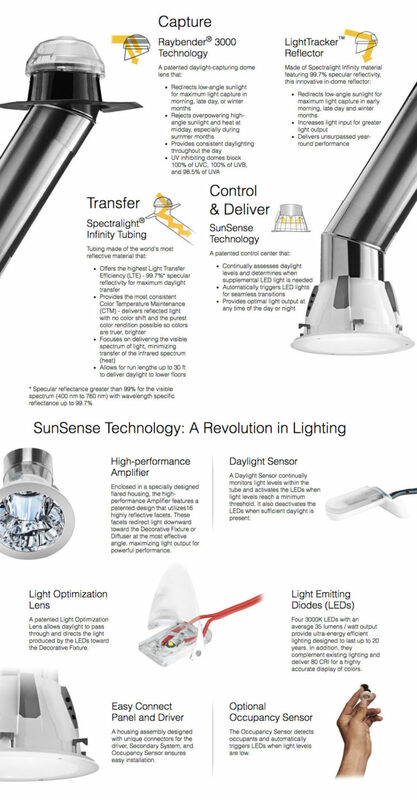 It’s the system that creates light in a smarter way.